Collaborating with Industry, Government, and Academia. 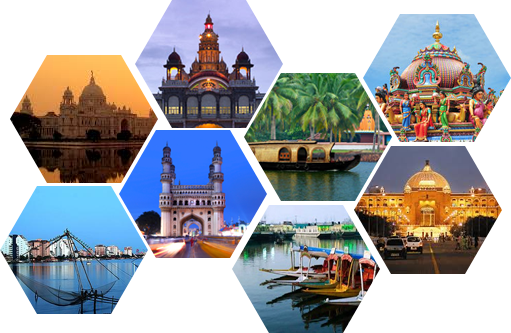 The Southern cities of Bengaluru, Chennai, Hyderabad have been the key contributors to the IT-BPM industry in India. In addition, emerging cities like Kochi, Thiruvananthapuram, Coimbatore, Vishakhapatnam, Mysore and Kozhikode are creating a further pull factor for the South. Availability of talent, top class educational institutions, quality infrastructure and dominant industry presence has made the industry growth synonymous with south of India. NASSCOM has 5 regional offices in the region across Bengaluru, Chennai, Hyderabad, Kochi and Thuruvananthapuram and 60 percent members are from this region. The region is active across hosting a large number of national initiatives, events and programs. NASSCOM has also set up Startup Warehouses across Bengaluru, Chennai, Hyderabad, Kochi and Vishakhapatnam and is playing a key role in catalyzing the start-up ecosystem. The first IOT Centre of Excellence is also housed at Bengaluru. Work with members and the government to build Digital India and Smart cities programs in Karnataka. Create focused groups – CFO, HR, Diversity, GIC to create best practices and share latest industry happenings. Work with the government and members to build engagement with industry and academia in Tier 2 cities of Karnataka. NASSCOM tech series aims to educate members on technology shifts, their impact and capability building. Work with the members to address issues related to transportation, administration and facilities management. Positioning Bengaluru as the major R&D and Innovation hub for India through focused programs with GIC R&D centers, start-ups and other stakeholders. Work closely with the state government on building the policy enablement’s for the IT and BPM industry and address issues if any. Work across member companies to build HR best practices and address key challenges collaboratively. Build focused programs to educate employees of member companies on technology shifts and imperatives through workshops / skilling initiatives. Regular programs to engage members across diverse business and functional areas. Work with members and local authorities on initiatives that can be driven by member companies like car pooling etc as well as make representation to government on infrastructure issues. Build programs for strengthening the MSME companies in the state including leveraging government incentives and programs for the sector. Work with the State Government on key policy issues impacting the growth of the industry in the state. Sridharan SivanFounder & Chairman,S10 Healthcare Solutions Pvt. Ltd.
Maran NagarajanChairman & CEO,Kaar Technologies India Pvt. Ltd.
Raj Prakash GCEO & MD,Zifo Technologies Pvt. Ltd.
Sumitra SeshanCOO,Fifth Generation Technologies India Pvt. Ltd.
George JohnFounder & CEO,Kallos Solutions Pvt. Ltd.
Balaraman JayaramanCo-Founder & President,Congruent Solutions, Inc.
Dr. Ganeshkumar NagarajanCountry Head - Operations,Miramed Ajuba Solutions India Pvt. Ltd.
MV SubramanianManaging Director,Future Focus Infotech Pvt. Ltd. The Region works closely with Society for Cyberabad Security Council (SCSC), a not-for-profit body which is the collaboration between Cyberabad Police Commissionerate and the IT Industry. SCSC endeavors to work for the safety & security in the Cyberabad IT corridor, thereby promoting Hyderabad as a preferred IT destination apart from putting in a lot of emphasis on Women safety. Work closely with the state government of Telangana and AP to build policies that support the growth of the industry. Creating focused activities for members to connect and share thoughts, practices etc under the Technology, Operations, Shared Services and Leadership Series of events. Events are conducted in Tier 2 locations also for the benefit of the SMB segment of the Industry. Multiple sub-groups and forums have been created including – GIC, Product, HR, D&I, Sales & Marketing and Business Excellence. The NASSCOM Sector Skill Council is working closely with academia in the two states for curriculum, teacher training, assessments and specialized programs. Two major programs that are currently running are the QP based programs for Data Analytics and Cyber Security. Two Start-up Warehouses at Hyderabad and Vishakapatnam have been set up.. Focused programs help to connect startups with GIC’s and other large organisations. Special programs to focus on developing Tier-2 locations to increase industry penetration and reach. V. LaxmikanthManaging Director,Broadridge Financial Solutions (India) Pvt. Ltd.
Sriram SRDirector & Head, Human Capital ,Arcesium India Pvt Ltd.
Ramanand PuttigeHead - Business Fulfilment,Cyient Ltd.
Rajasekhar MarrivadaAsst. Vice President ,YASH Technologies Pvt. Ltd.
Ajay RayFounder & Managing Director ,Ray Business Technologies Pvt. Ltd.
Saritha SinghFounder and CEO,Inspire Solutions Inc. Enable the Kerala state to be positioned as the destination of choice, especially in the area of IT Service, Electronics, Product Startup, and to cater as Innovation hub for India. Work with the State Governments on key policy issues impacting the growth of the industry in the state. Multiple sub-groups and forums have been created including – IT Service, GIC, Product, Engineering R&D, HR, D&I, Sales and Marketing and Business Excellence. Regular programs to engage members across four broad areas – Technology, Operations, Leadership and Shared Services. Aiyappan Pillaai BalakrishnanManaging Director,Geojit Technologies Pvt. Ltd.
Sunil JoseAssociate Vice President,Infosys Technologies Ltd.
Gautam ShankarCEO,GES Infotek Pvt. Ltd.
Manoj K PCEO,ThinkPalm Technologies Pvt. Ltd.
Mukund KrishnaCEO,Suyati Technologies Pvt. Ltd.
Bijith AhmedManaging Director,Aufait Technologies Pvt. Ltd.
Sreekumar NairManaging Director,Zafin Software Centre of Excellence Pvt. Ltd.
Vinoop TManaging Director,Vinam Solutions Pvt. Ltd.
Chitra SaisekarManaging Director,D+H Solutions India Pvt. Ltd.